Hey! I'm busy busy busy getting ready for the bridal fair I'm doing tomorrow. 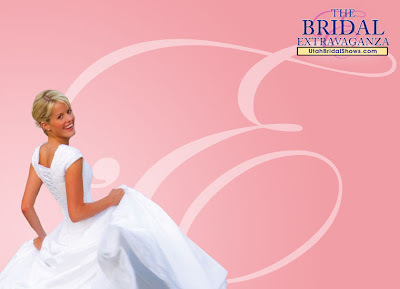 It's the Bridal Extravaganza at Grand America. All brides planning a wedding should come! There are a lot of local wedding vendors, ideas, a fashion show with wedding fashions, etc. My booth is going to look so awesome. Everything is apple green and white, my favorite color combo. My booth is toward the back near the fashion show stage. Anyone who books tomorrow gets 15% off their wedding package! Come see me!